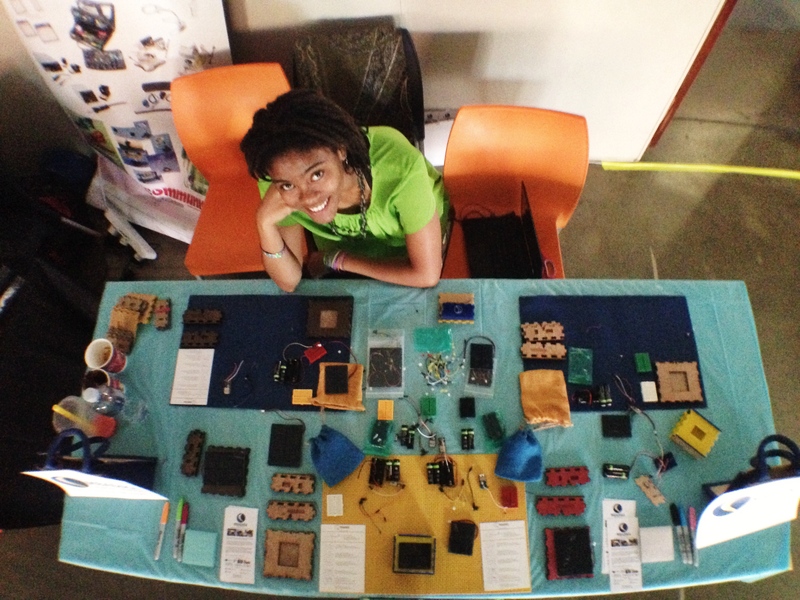 I met Netia McCray at Maker Fair Africa yesterday. She’s an MIT grad who’s working on a project called Mbadika (it means “idea” in the North Angolan language of Kimbundu), which is about teaching kids the basics of electronic prototyping. She does this using some very inexpensive solar-charging kits, designed to be put together and understood in an educational workshop, or on their own. 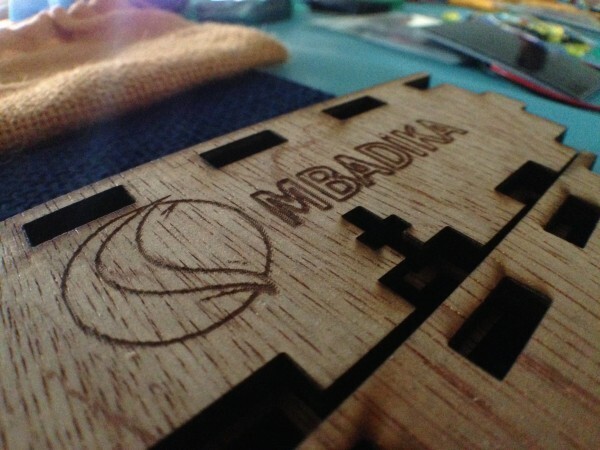 Mbadika is a new program, so they’re just getting off the ground themselves, however they’ve already taught 250+ kids in 6 countries. As a father, I can appreciate the simplicity of this kit, having worked through some more complicated electrical engineering kits with my own children. There’s value in having something that is immediately buildable by a 10 year old that they can put to use right away. They can design/paint it how they like and make it their own. You can help them out on the new South African crowdfunding site, ThundaFund. 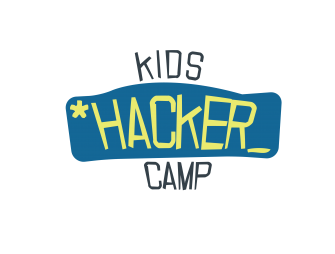 For the last 2 years I’ve wanted to do a camp where we get a bunch of kids together for a fun week of computers and hardware. 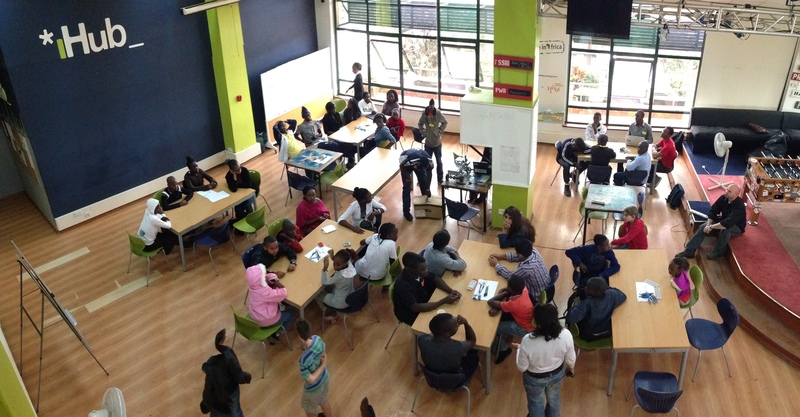 It finally is happening, this week we have 40 boys and girls, ages 10-16 and from all demographics and types of schools at the iHub. One of them is my daughter, who kept bouncing around excited about it over the weekend, chomping at the bit to get started. What gives me warm fuzzies about this is two-fold. 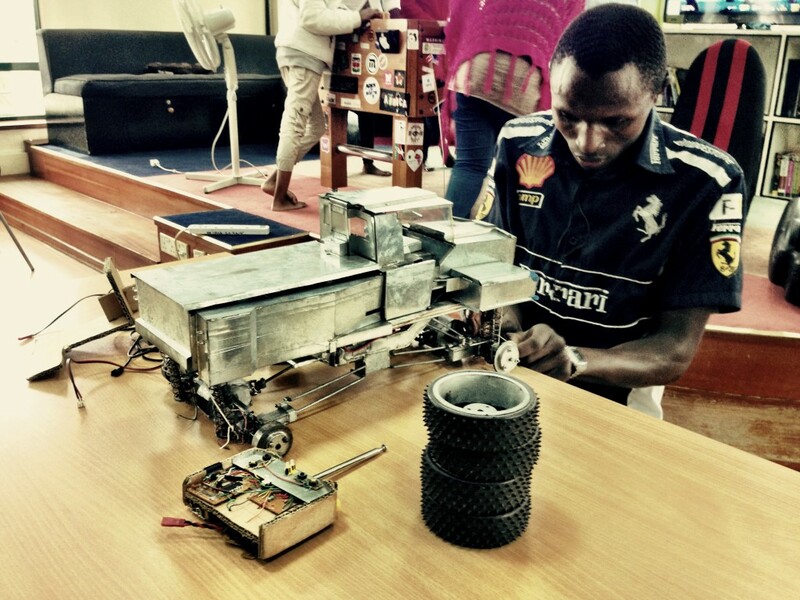 First, acknowledgment that my colleague Jessica Colaco is as amazing as ever, pulling this whole thing together in the last few weeks with IBM and the help of a dozen university-level hardware hackers from the robotics club at the iHub. Second, knowing that it’s taken us a while to really engage kids with tech, and that we’re finally doing it. I was only able to spend time there intermittently thus far, and I saw the kids get intro’d to robotics (servos and motors) by a guy named Peter, who had built his own remote controlled transforming car. Everything was built by hand, nothing off the shelf, even the remote control itself. Here’s a short video of it closing back up. 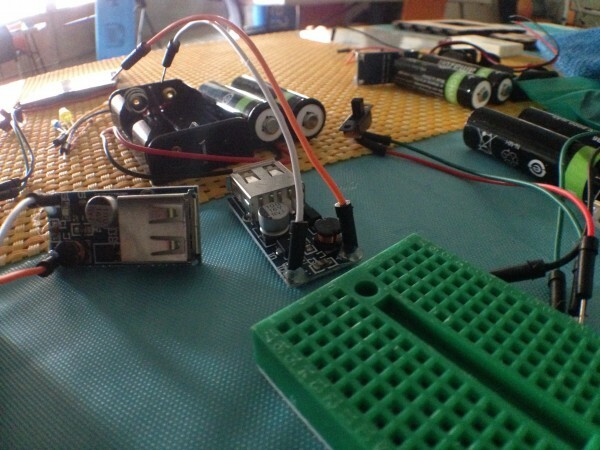 A handmade, transforming remote controlled car – Kids Hacker Camp Nairobi from WhiteAfrican on Vimeo. 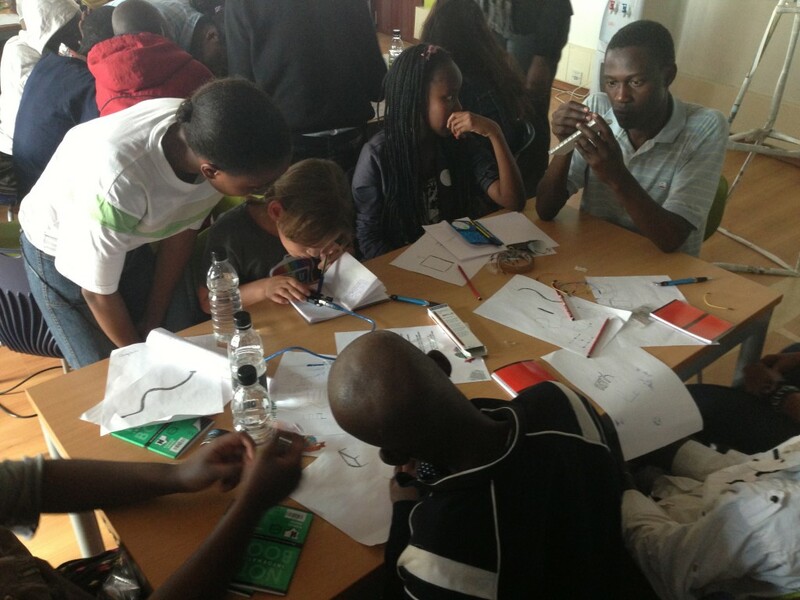 They’ve spent a couple days on breadboards, learning how transistors and diodes work using LED lights. 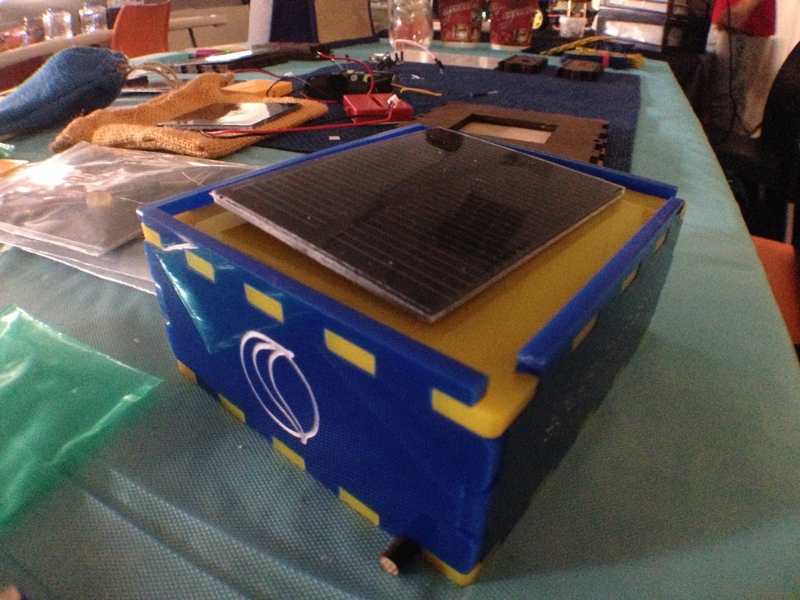 Now they’re onto sensors and micro-controllers (Arduino), and they’re making weather stations as their final project. The kids are split up into groups of 5-6 kids, with two adults per group, that way each kid gets a lot of time hands-on with the equipment and can ask plenty of questions. Learning How Power Flows – Nairobi Kids Hacker Camp from WhiteAfrican on Vimeo. At the end of the day, I just want more computers in the hands of kids in Africa. It’s only by younger generations gaining access to technology that we see major change happen.